It's 2070, and the world still reels from an attack 40 years earlier, when a race of insect-like aliens invaded in a bid to make Earth their own. Convinced of the alien's impending return, Earth's only hope is the malleable minds of young geniuses. The youngest of his gifted family, Ender Wiggin fits the bill where his elder siblings didn't because of his blend of intelligence and killer instinct. He's taken to a space station to train with an acrimonious crew of his peers. There he proves himself a leader. As time runs out, Ender is made commander of the young group of warriors charged with saving Earth. As training continues, Ender learns all is not what it seems, and that winning and losing depend very much on perspective. 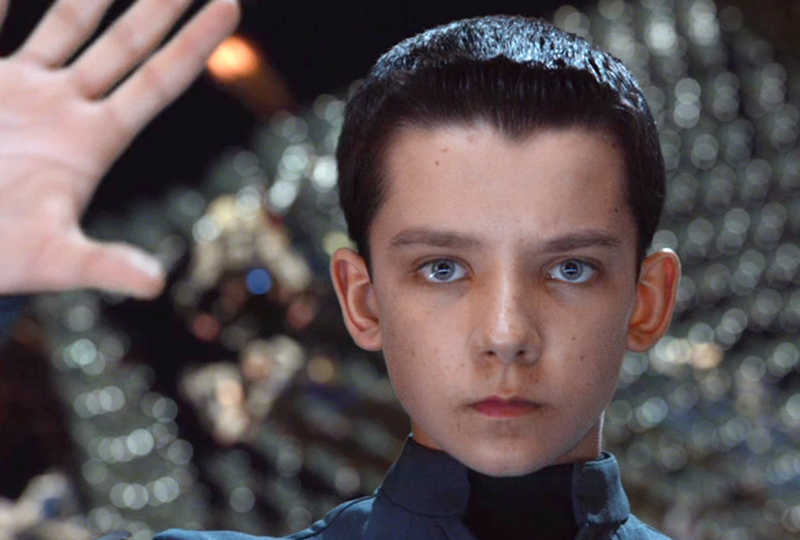 Ender's Game brings to light the developing acting chops of Asa Butterfield (Hugo), who play's Ender. The strong supporting cast - Harrison Ford, Ben Kingsley, Viola Davis, Abigail Breslin, and newcomers Hailee Steinfeld and Moises Arias - provide the perfect stage for Butterfield to shine, and he doesn't disappoint. Expect a lot from him in the future. Go check out Ender's Game folks.